Happy one year anniversary to this blog! I want to say thank you to all the love my little blog has received, and although it's definitely been (and will continue to be) a work in progress, I have received so much positivity and support and truly my blog friends are the BEST! 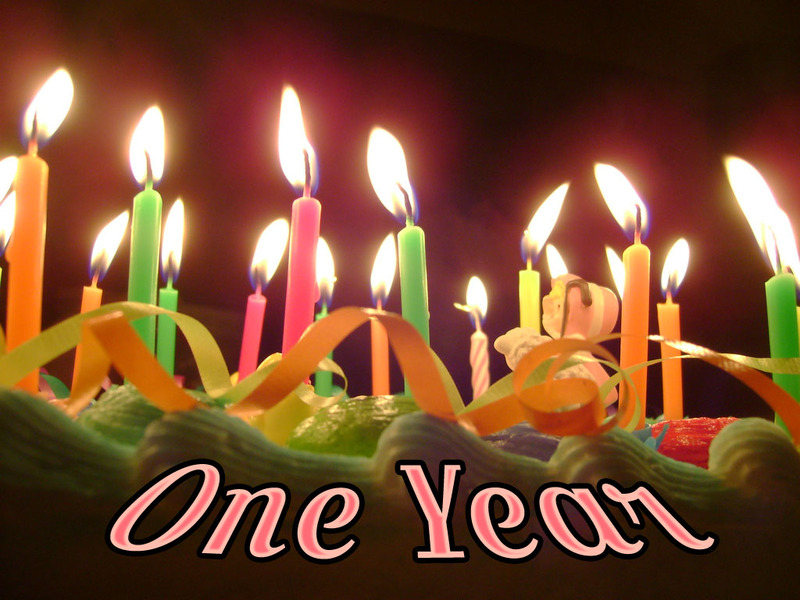 It's amazing to think of all the things I've learned blogging for a year. Believe it or not, my photo skills have come a long (and I mean LONG) way. There's room to grow, but I'm definitely proud of it. Also, I did join the world of Instagram and Twitter (although Twitter still really confuses me) which is a big step for me. Each and every post I write is a new chance to learn and better my blog, so it's been a fun journey. There is also a lot I am clueless about in the world of blogging. For example, I got an email about doing a guest editorial on my blog from a company? Person? What does that mean? Are they expecting compensation? Is it rude to ask? Who the heck are they? It isn't one of my blogging friends so why the interest in my blog? Exposure? Who knows! P.S. I am always happy to feature and work with my friends on my blog! Also, I had to ask my friend Cara, of the blog Kindly Unspoken, to school me on link-ups. Because I really had no clue what that was all about. Thank you, Cara, for helping a girl out. You guys are the best and are always here to teach me the ways of the blog world and I am forever grateful. Love you Kim!! My One year is coming up on March 1 and you were one of my first readers and I have grown to love you and your blog so much dear friend! Happy Happy Blog Anni!! YAY!! Happy Blogiversary!! So happy to have "met" you in this blogging world. I must say you are one of the absolute sweetest people and I love following your blog. Congratulations! Happy Anniversary! I'm so happy to have found your blog and YOU. Lots of love and CHEERS for another year! Happy one year anniversary Kim! You've done an amazing job with your blog over the last year. In fact, I actually didn't know you've only been blogging for only one year because you seem like a pro! I'm so happy that we've been able to "meet" online as you are such a kind and amazing person! Cheers to many, many more years of blogging to come!